The Bamboo Extreme Design Team. Bamboo Extreme was handled by designers and product specialists from Design Center of the Philippines. (L-R, bottom row) Lemuel Abron, Chris Lacson, (L-R, top row) Kate Añoso, Milo Naval, Bryan McClelland, Lotti Galicia, and Ivan Limjoco. 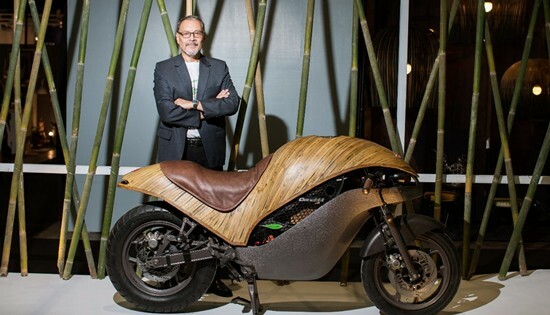 PASAY CITY – The Department of Trade and Industry’s Design Center of the Philippines sees Philippine design steadily rising into the international design scene as locally-made eco-friendly motorcycle Green Falcon lands in WGSN’s Design Futures Report. “With Green Falcon and Bamboo Extreme getting featured in WGSN, it pushes the Philippines’ status a notch when it comes to material and design innovation. It celebrates the Philippine design industry’s capability to develop products that are forward thinking, and potential in influencing global design,” said Rhea O. Matute, Executive Director of DTI-Design Center of the Philippines. WGSN is an internationally-renowned online trends forecasting portal, where excellent research, data and insights are provided to help businesses stay relevant, keep abreast of future trends, and tap into their potential growth opportunities. In WGSN’s report entitled Engineering Nature, the Green Falcon was listed among other product and material innovations that combined technology and engineering with natural elements. “Moreover, it recognizes Design Center’s efforts, and in partnership with the Department of Trade and Industry, in growing its vision for the Philippine design industry,” added Matute. 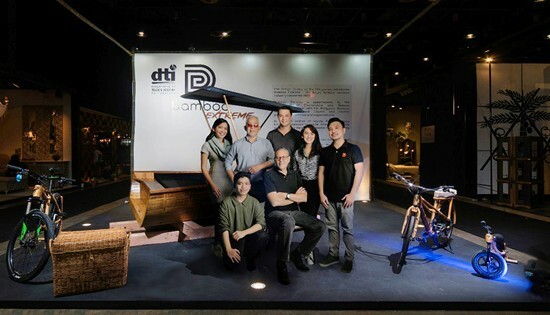 The Bamboo Extreme is a collaborative project between Design Center of the Philippines and DTI-Industry Cluster Enhancement aimed at modernizing bamboo to capture the millennials’ way of life, filled with adventure, exploration, and experimentation. Inspired by café racers in the 1960s, the Green Falcon is notable for using bamboo for the motorbike’s upper body, a first in the production of motorcycles. It remarkably emphasized how bamboo as a material can be pushed beyond the usual, normal, and traditional product applications such as furniture, home accessories and lamps and lighting. Lacson especially designed the Green Falcon for adventurous millennials, who highly regard design, performance, and sustainability while supporting the Philippine design industry as well. Mimicking the speed of a falcon, the eco-friendly motorbike can put its gear to a speed of 100-110 kph. It also uses electricity for power, its contribution to zero pollution on the road. While he believes Filipinos are very creative people, he noticed how most Filipino consumers would still look to other countries’ products, and not the locally-made ones. The Design Center of the Philippines, and attached agency of the DTI, is the only national agency for design, and the leading agency committed to cultivating a culture that thrives in creativity, value creation, and innovation. The Green Falcon with designer Christopher Lacson. The prototype was built by a small team composed of Prototype Engineer Jess “Sparky” Alimbo, Body Sculptor Eddie “Bondo” Canete, and Evolve/OMO Factory’s bamboo craftsmen.